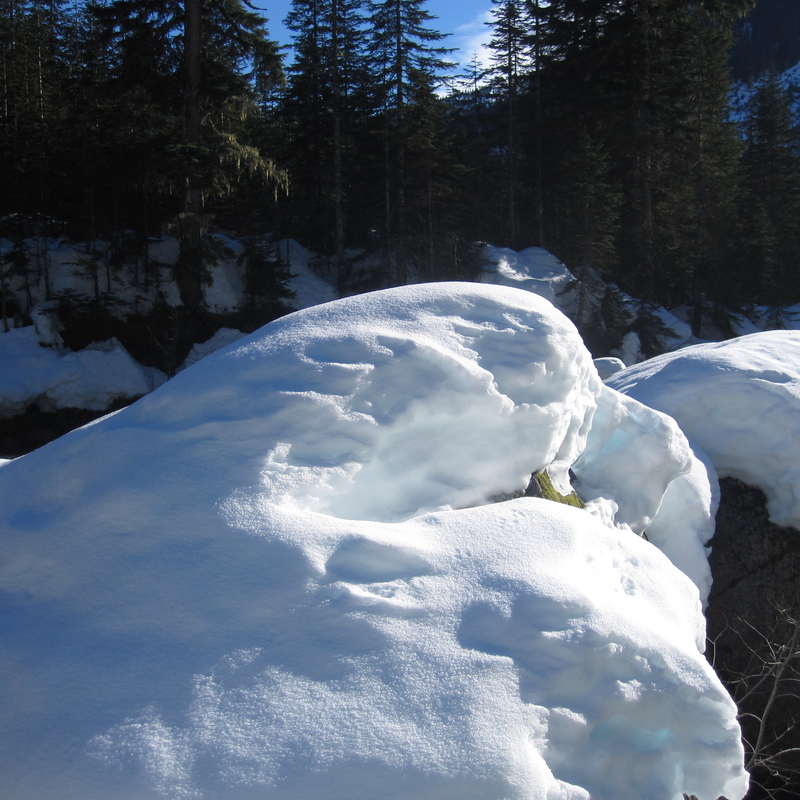 But, after a relaxing week of warming holiday comfort food, and with optimism in mind, I’m craving the tastes of spring. One of the first crops that is poking up out of the ground this year are the radishes. It is easy to forget that while it may be awhile until the coloured vegetables can be pulled out of the grounds, the green tops are deliciously edible. 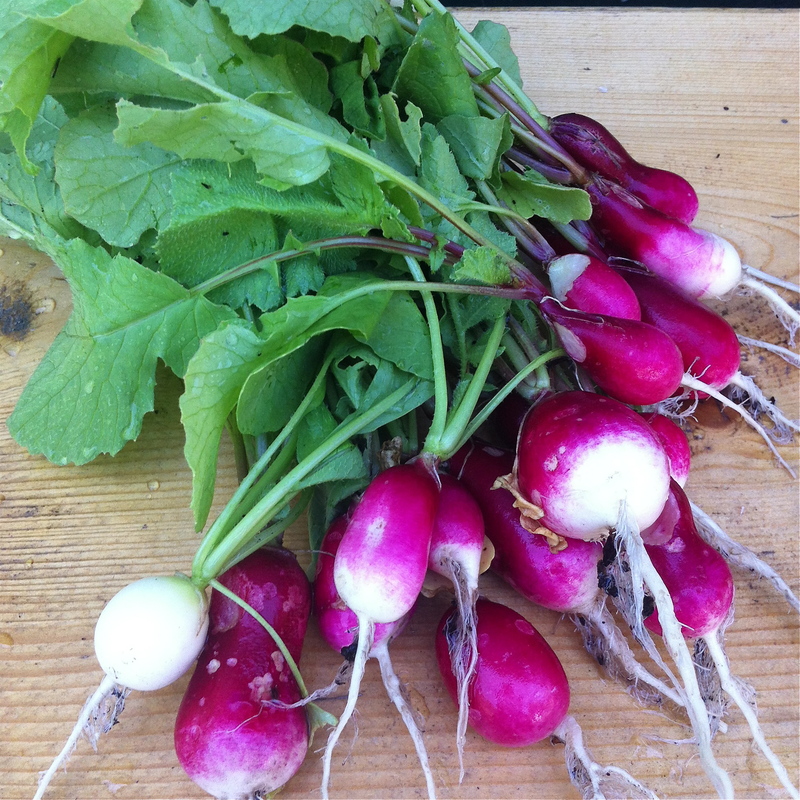 High in vitamin C, vitamin A and potassium, baby radish greens are delicious in a salad, with grains or in an omelette. 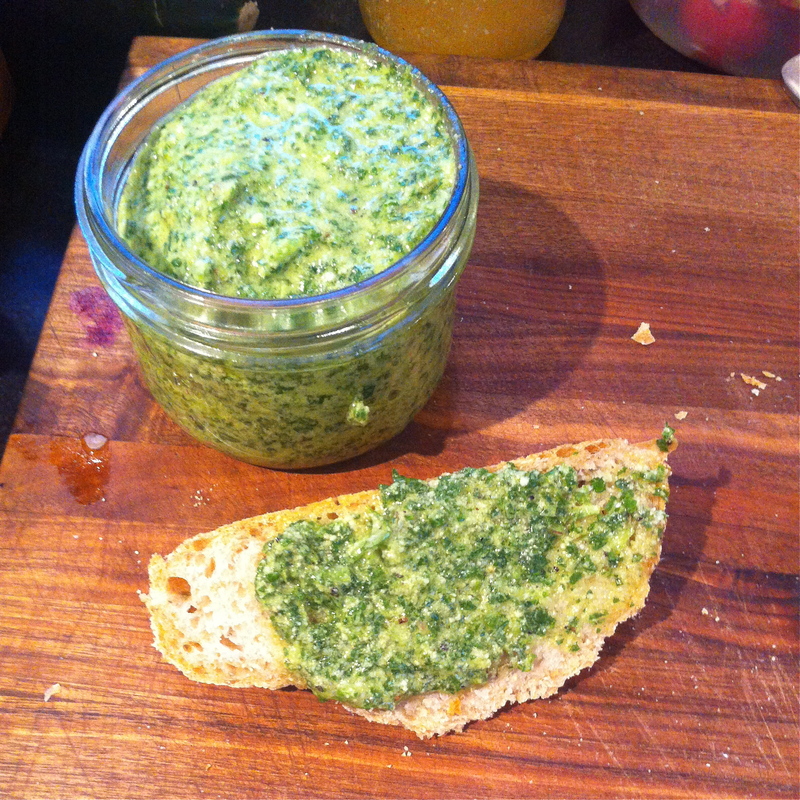 As they get older they can be steamed, sauteed and made into one of my favourite treats, a delicious pesto. Traditionally under the purview of basil, pesto, at least in my kitchen, is really just a spread made with greens, olive oil and cheese. Lather it on fresh bread to eat right away, use it as a spread on sandwiches, put some in a frittata or omelette, stuff a chicken breast or use it as a spread for pizza. Optional: garlic, sea salt, pine nuts, cashews, squeeze of lemon juice, cracked black pepper. Wash and rinse radish leaves. Pat or spin dry. Place radish leaves, cheese and half the olive oil in a food processor. Blend gently and if needed slowly drizzle in the more olive oil. Taste (testing purposes only!) and add more cheese or oil if necessary. This entry was posted in Appetizer, Cooking, Food, Lunch, Recipe, Vegetables and tagged cheese, garlic, olive oil, parmesan, radish, sea salt, spring by mostlynoodles. Bookmark the permalink.